You’ve probably felt it before: that sinking feeling in the pit of your stomach when, by accident, you’ve deleted a picture, contact or text message that you needed. In a second, all that important information gone, forever. It’s just not fair! We’ve all been there. Searching through our galleries to find an old picture and realizing it is nowhere to be found. Could you have accidentally deleted it in a storage purge? Did you mistakenly think it was a different picture? The feeling is all too familiar but that doesn’t make it any better fortunately, depending on your device, there are dozens of ways you can get them back. There are several apps that make the recovery process for photos pretty straightforward on Android. DiskDigger is one of them. Download it from the Google Play store and install it on your phone. It will scan your entire device for deleted files. On your PC, you can then find the photos to recover. Select it (or them) and save them to a destination on your phone. With the latest iOS update, Apple made recovering deleted photos easy. Simply go into your Photo App and get into your albums. Search for “Recently Deleted.” All of the photos from the last 30 days that have been deleted will be there. You can recover them from there, or “delete” to permanently delete images you no longer need. If you are looking for images older than 30 days, you will need to recovery your photos via saved iTunes backup or using a different third-party recovery tool. While you might not think text messages are important to recover, particularly compared to sentimental pictures, they often contain a lot of valuable information. Between addresses, phone numbers, and love notes, the last thing you want is to be without them. Fortunately, Android and iOS provide a wide range of apps and services that can help you out of a jam. Fone Paw Android Data Recovery can recover text messages that have been deleted on an Android phone. The program works most Android brands. Another option is Android Data Recovery, a tool that helps users find and retrieve data that has been lost. Texts, photos, contacts, documents, etc. The tool allows the user to restore lost data back to the phone in a few dimple steps. If you automatically back up your text messages on iTunes, this is the place to start. Open iTunes once your phone is connected to your computer. Click on your iPhone in the right, top corner. Then choose ‘Restore backup’. 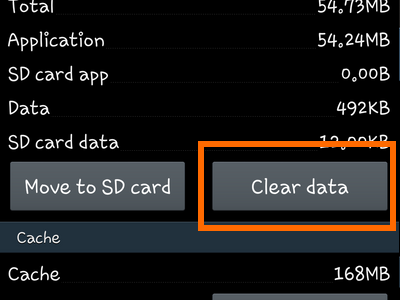 When you do this, all backed up data will replace the information on your phone. Provided you haven’t backed up your phone since deleting your texts, they should pop up your messages. iCloud is another place to look for deleted text messages. If you automatically back up your texts onto iCloud, they will be there waiting for you. Once in your iCloud account, click on “Text Messages” and choose the ones you are looking for. Next you’ll need to go into your iPhone’s settings and click on iCloud. Turn off text messages and select “Keep on my iPhone” when the pop up shows. Next, turn texts back on then click on “merge”. Within a few minutes, the messages that were deleted will reappear in the phone.